Malaysia’s finest developers of the year were celebrated at the sixth annual edition of the PropertyGuru Asia Property Awards (Malaysia), presented by global brand Kohler, in a landmark ceremony held at the historic Majestic Hotel in Kuala Lumpur recently. MRCB Land earned its first-ever Best Developer win, besting some of the country’s biggest real estate companies. “A pioneer in transit-oriented development, MRCB Land has time and time again incorporated the best amenities for its projects to drive continuous and sustainable growth. In the last five decades, MRCB Land has also dedicated its resources for various philanthropic, charitable and Corporate Social Responsibility (CSR) initiatives to give back to local communities,” said the independent panel of judges. Aside from receiving the year’s highest award, MRCB Land also earned the gongs for Best Mixed Use Development and Best High End Condo/Apartment Development (Klang Valley) for its 9 Seputeh properties, plus the Special Recognition for Building Communities and in CSR. JKG Land Berhad was named Best Boutique Developer, earning the accolade mainly for its work on the urban green project The ERA @ Duta North, which won the Best Mid End Condo/Apartment Development (Klang Valley) award. Among the big winners at the exclusive gala event were township developer Matrix Concepts Group, which collected the Special Recognition for Industrial/Logistic Development; Venus Assets Sdn Bhd, the team behind the mixed-use Four Seasons Place, Kuala Lumpur; and ‘Best of Malaysia’ winners Astaka Padu Sdn Bhd and Gamuda Land. Two former Best Developer titleholders, LBS Bina Group Bhd (2018) and Tropicana Corporation Berhad (2017) also returned to the competition as Development winners. The event also saw 28 award categories conferred to honour the Malaysian real estate sector’s most active and fast-growing niche segments, including Industrial/Logistic development. 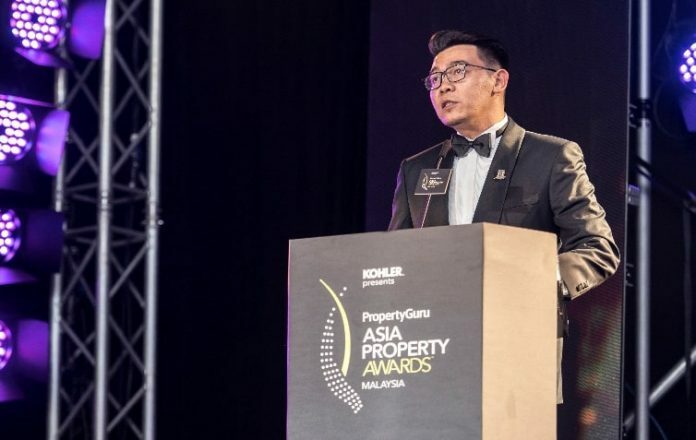 Around 500 senior industry figures and members of the press attended the gala ceremony, which was the biggest yet hosted in Kuala Lumpur by PropertyGuru. Tuan Hizwan, the Political Secretary to the Malaysian Minister of Housing and Local Government, H.E. Zuraida Kamaruddin, attended the gala dinner to support the shortlisted developers. Hari V. Krishnan, Chief Executive Officer of PropertyGuru Group congratulated the Winners and Highly Commended companies at our biggest and most successful gala event to date in Malaysia.